Three hundred cavalrymen rode through Thurmont on June 25, 1913. They arrived on Western Maryland Railroad from Fort Myer in Arlington, Virginia. They unloaded their mounts from the train and rode through the town on Wednesday morning. They were part of the second invasion of Gettysburg. 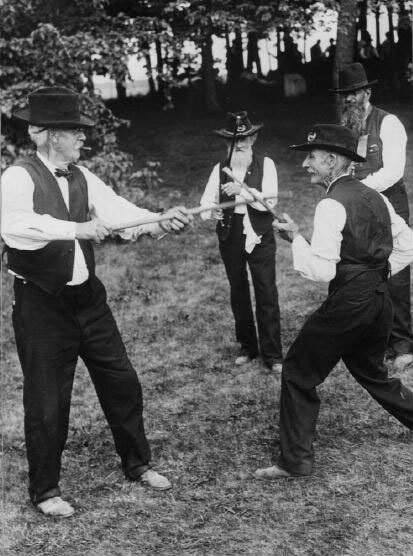 At the beginning of the 20th Century, Civil War Veterans were aging into their sixties and seventies when the average lifespan of an American was around forty-seven years. Acting on an idea from Henry Shippen Huidekoper, who had been wounded during the battle of Gettysburg, Pennsylvania Governor Edwin Stuart urged the state legislature to remember the Veterans of the Battle of Gettysburg during the 50th anniversary. Gettysburg had hosted battlefield reunions before, but they were relatively small events. For this milestone reunion, people envisioned an immense event with an abundance of people in town and the surrounding countryside as hadn’t been seen since the battle itself. State legislatures responded positively and appointed representatives to participate in the planning. They would serve as liaisons between their states and the Pennsylvania Battle of Gettysburg Commission. Seeing the nationwide interest in the event, the U.S. Congress appointed a committee of three U.S. senators and three congressmen to assist the Pennsylvania Commission in June 1910. Much of the federal assistance came in the form of U.S. Army personnel to plan how to run the camp and army equipment. The cavalrymen from Fort Myer were part of the federal support of the Gettysburg reunion. Capt. Dean, adjutant of the troop, and Lt. Surles, quartermaster, were the first to arrive in Thurmont. 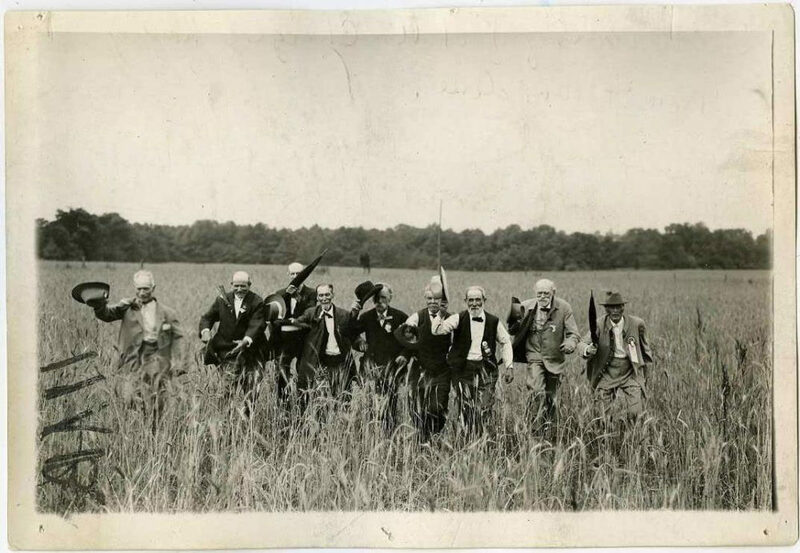 They made the arrangements with Col. John R. Rouzer to occupy Camp Field along Hunting Creek. The men were members of the 15th U.S. Cavalry with Troops A, B, C, and D under the command of Maj. Charles D. Rhodes. Then the food and horses arrived. “Nearly a carload of feed was shipped to Thurmont over the Western Maryland railroad for the use of the horses and about half a ton of meat and provisions for the men while in camp here,” the Catoctin Clarion reported. The cavalrymen stayed one night before reboarding the train and heading to Gettysburg the next day. The reunion lasted for a week, with nearly 57,000 Veterans returning to Gettysburg. They stayed in a temporary military camp the army erected. Although the Veterans were grouped by their states, they mixed during the day as they walked miles each day covering the battlefield where they had once fought. 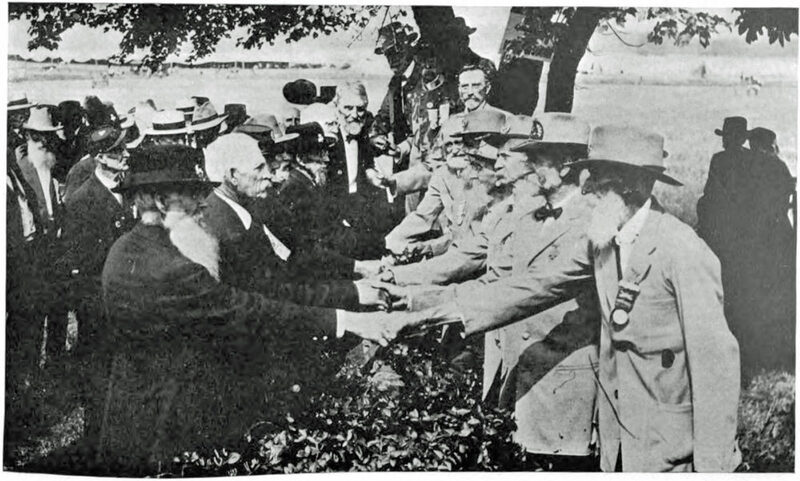 During the reunion, monuments were dedicated, the cyclorama opened for the first time, and a silent film about the battle premiered. Senators, congressmen, governors, and the president attended as special guests. A group of Civil War Veterans from Thurmont also attended the reunion. The men from the Jason Damuth Post No. 89 of the G. A. R. left town on July 1 to be part of the reunion. They were Rev. W. L. Martin, John Tomes, William Jones, Jacob Freeze, Jeremiah Dutrow, Charles Carrens, W. T. Miller, George Elower, C. I. Creager, Charlton Fogle, William Freeze, Maj. George A. Castle, and George W. Miller. The Gettysburg reunion was the largest reunion of Civil War Veterans ever held. Confederate survivors of Pickett’s Charge re-enact the charge at the 50th anniversary of the Battle of Gettysburg. Survivors of Pickett’s Charge shake hands across the wall where they fought so desperately fifty years earlier. A Union and Confederate veteran goof around showing they can still fight at the 50th anniversary of the Battle of Gettysburg. 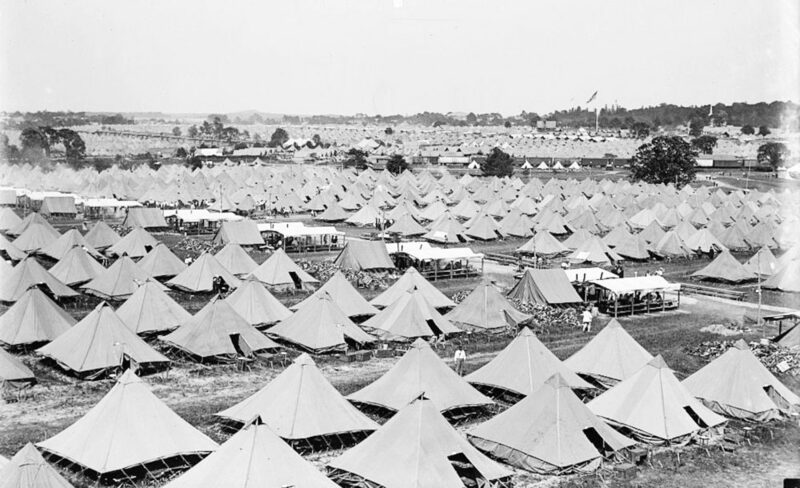 The Veteran encampment at Gettysburg housed around 57,000 Veterans at the 50th anniversary of the Battle of Gettysburg.